Yes Dave, I want to experience the health benefits that a program of pushup training can do for me. As such I would like to order a physical copy of your book "The Ultimate Guide To Pushups" directly from the publisher for only $24.95. I understand that by clicking on the "Buy Now" button below I will be taken to the publisher's website to complete the transaction. NOTE: When you choose to buy the physical book you will be taken to the secure Createspace order page which looks something like this. Yes Dave, I want to experience the health benefits that a program of pushup training can do for me, but I'd like to save some money and help the environment too! 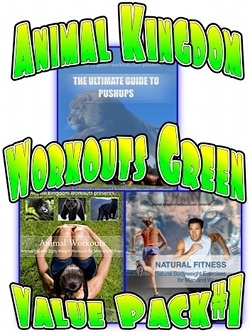 I understand that when I order the Green Value Pack (click here to learn more) I will be getting "The Ultimate Guide To Pushups", along with "Natural Fitness" and the "Animal Workouts" book AND DVD for only "$59.95". 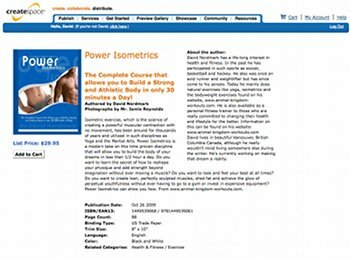 I will also be getting "Nerve Force", the "Fitness and Health" ebook and unlimited liftime updates. That's over $250 worth of value for only $59.95. As well this offer comes with a 60 day money back guarantee. If you are not completely satisfied with these products in electronic format you can return them within 60 days, no questions asked. This guarantee is only available with the green option. I understand that by clicking on the "Buy Now" button below I will be taken to the clickbank's secure website to complete the transaction. NOTE: When you choose to purchase The Green Option you will be taken to the secure Clickbank order page which looks something like this.